OPEL 91167776. NISSAN PRIMASTAR Box (X83) 1.9 dCi 100 Box Diesel 09/2002 on FWD 8 100 74. NISSAN PRIMASTAR Box (X83) 1.9 dCi 80 Box Diesel 09/2002 on FWD 8 82 60. VAUXHALL VIVARO Box (X83) 2.0 ECOTEC Box Petrol 08/2006 07/2014 FWD 16 117 86. OPEL 91166507. NISSAN PRIMASTAR Box (X83) 1.9 dCi 100 Box Diesel 09/2002 on FWD 8 100 74. VAUXHALL VIVARO Box (X83) 1.9 DI Box Diesel 08/2001 12/2006 FWD 8 80 59. VAUXHALL VIVARO Box (X83) 1.9 DTI Box Diesel 08/2001 12/2006 FWD 8 101 74. OPEL 4409164, 4416297, 91166506, 93853917. OPEL VIVARO A Platform/Chassis (X83) 2.0 16V Platform/Chassis Petrol 08/2003 on FWD 16 120 88. OPEL VIVARO A Platform/Chassis (X83) 2.0 CDTI Platform/Chassis Diesel 01/2006 on FWD 16 90 66. OPEL VIVARO A Box (X83) 1.9 DI (F7) Box Diesel 08/2001 on FWD 8 80 60. OPEL VIVARO A Platform/Chassis (X83) 2.0 16V Platform/Chassis Petrol 08/2003 on FWD 16 120 88. OPEL VIVARO A Platform/Chassis (X83) 2.0 CDTI Platform/Chassis Diesel 01/2006 on FWD 16 90 66. NISSAN PRIMASTAR Platform/Chassis (X83) 2.5 dCi 150 Platform/Chassis Diesel 04/2006 on FWD 16 146 107. NISSAN PRIMASTAR Van (X83) 2.0 Bus Petrol 03/2001 on FWD 16 120 88. NISSAN PRIMASTAR Van (X83) 2.0 Bus Petrol 04/2006 on FWD 16 117 86. OPEL VIVARO A Combi (X83) 1.9 DI (F7, J7, A07) Bus Diesel 08/2001 on FWD 8 80 60. OPEL VIVARO A Combi (X83) 1.9 DTI (F7, J7, A07) Bus Diesel 08/2001 on FWD 8 101 74. OPEL VIVARO A Combi (X83) 2.0 16V (F7, J7, A07) Bus Petrol 08/2001 on FWD 16 120 88. 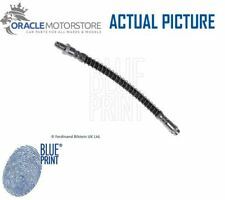 Brake Hose BBH7511 Borg & Beck. Part Number BBH7511. GENERAL MOTORS 4412727, 91167776. NISSAN 4621300Q0C, 4621300QAC. OPEL 4412727, 91167776. VAUXHALL 91167776. Function Brake Hose. Brake ENGINEERING BH778325, BH778739. OPEL VIVARO A Box (X83) 2.0 CDTI (F7) Box Diesel 08/2006 on FWD 16 114 84. OPEL VIVARO A Box (X83) 2.0 ECOTEC (F7) Box Petrol 08/2006 on FWD 16 117 86. OPEL VIVARO A Box (X83) 2.5 CDTI (F7) Box Diesel 08/2006 on FWD 16 146 107. VAUXHALL VIVARO Box (X83) 2.0 CDTI Box Diesel 01/2006 07/2014 FWD 16 90 66. 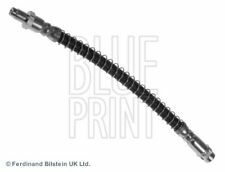 VAUXHALL VIVARO Box (X83) 2.0 ECOTEC Box Petrol 08/2006 07/2014 FWD 16 117 86. VAUXHALL VIVARO Box (X83) 2.5 DTI Box Diesel 07/2003 07/2014 FWD 16 135 99.